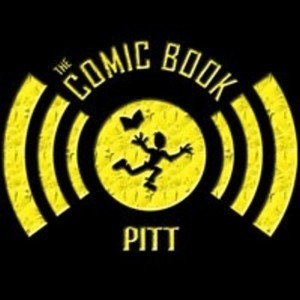 We found 10 episodes of Comic Book Pitt with the tag “comic book”. Episode 224: Free Comic Book Day 2016! IT'S FREE COMIC BOOK DAY! Is Glenn dead or alive - or both? It's all about comic book TV this episode. It was Silver Surfer, we swear. Over the years, Pittsburgh's blue collar roots have produced a strong, vibrant community of professional and independent comic book creators. Jared takes the mic around Wizard World Pittsburgh for a chat with some of the comic book movers and shakers in attendance.